Leah Ray doesn’t seek the spotlight, so it’s fun to highlight someone such as herself. She’s a busy, working mom who fits the gym into her schedule because of the way it reminds her of competing in gymnastics as a kid and young adult. She competes against herself in the gym, which allows her to set her own values and metrics. She gets to choose the goals that fit her best. And maybe the best part is that she’s clearly having fun out there. Energy is infectious, and Leah is always full of it (although, her daily 3D Energy Drink might have something to do with that!). 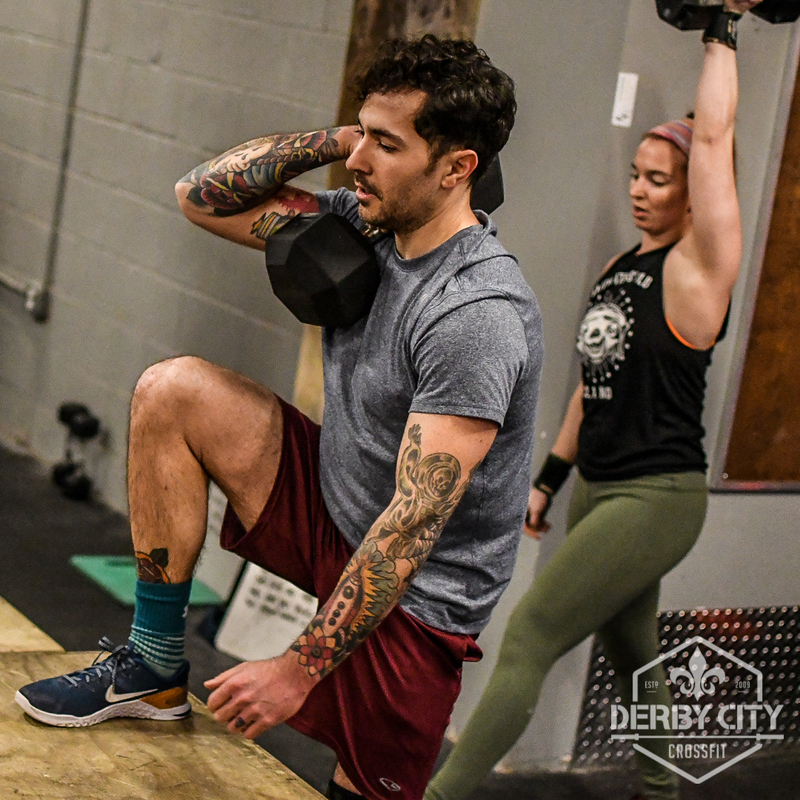 Maybe Derby City isn’t everyone’s cup of tea, but we are for anyone and everyone who’s willing to get out of their comfort zone. Our usual plea to prospective members who think they’re too old for us is: A) You’re not, B) If you don’t want to join us, then at least do something, anything. 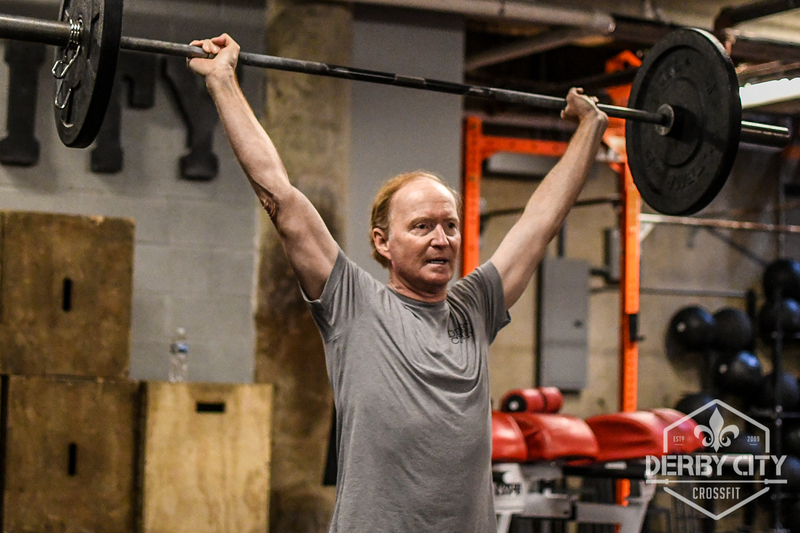 Sam is a long-time member who knows that age is just a number, and not a limiting factor. We have dozens of members in the 40+ category, all the way up to 60+. They may wish they’d started CrossFit when they were our age, but we all watch them and hope that we’ll be like them when we’re *their* age! Those struggles add up to a loss of independence, and those “Golden Years” become less enjoyable because they can’t physically do they things they’d most like to do. But, everyone wants to live healthier and enjoy life for as long as they can. Our training style isn’t just for young, fit people. It’s for anyone and everyone, and it can help people enjoy those later years more thoroughly and independently. Encourage your mom and pop and aunt and uncle and boss to be like Sam. Sometimes, problems at one joint show up as pain in the joint above or below. When joints that are supposed to be mobile become immobile, another stable joint is forced to compensate, which typically leads to pain or injury. Lose hip mobility, get low back pain. Lose ankle mobility, get knee pain. Lose thoracic mobility, get neck/shoulder pain (or low back pain). As coaches, we work diligently to spot these issues before they become an issue for you. We may recognize “stiff” movement and wonder if a past injury or poor repetitive movements caused the body to get stiff in order to find stability where it has none. If you’ve foam-rolled forever, but not made any discernible change and still feel tight, then it’s likely that you haven’t fixed the stability issue occurring elsewhere in your body. Turns out, a tight muscle and a fatigued muscle look pretty similar. If we see “tight” hamstrings on someone, we assume you don’t use your glutes well. In turn, your hamstrings are working harder, becoming fatigued. If we see a lack of thoracic spine mobility, we look next for core stability issues. Maybe you can do a plank for a long time, but you can’t rotate fully. Maybe you feel tightness in the front of your hip. That stiffness might be a protective gate from your inability to be stable elsewhere. Pain is an alarm signal for vulnerability elsewhere. Performing any movement with poor technique and simply trying to go harder, longer, or faster is a great way to get injured. Remember, more is not better, better is better, and we’re here to help. 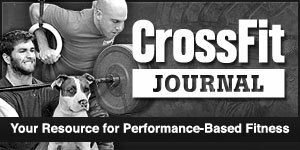 Tomorrow is Thursday, which is the “International Rest Day” for most CrossFitters. If you’re taking today off, we encourage you to come in to the gym and roll out, spend some time static-stretching, or just hang with us. We also want to suggest hitting the WODs on Thursdays in this cycle, as we’re intentionally building skill work opportunities into the sessions. In tomorrow’s workout, we’ll work on getting upside down to improve our handstand pushups or handstand walks. But, if neither of those movements interest you, the workout can still be tailored to be higher intensity so you keep working toward that summer body. 12 2-DB Bicep Curls (6l/6r) – heavy but don’t swing them! The intensity can be dialed up or down, depending on your focus for the day. 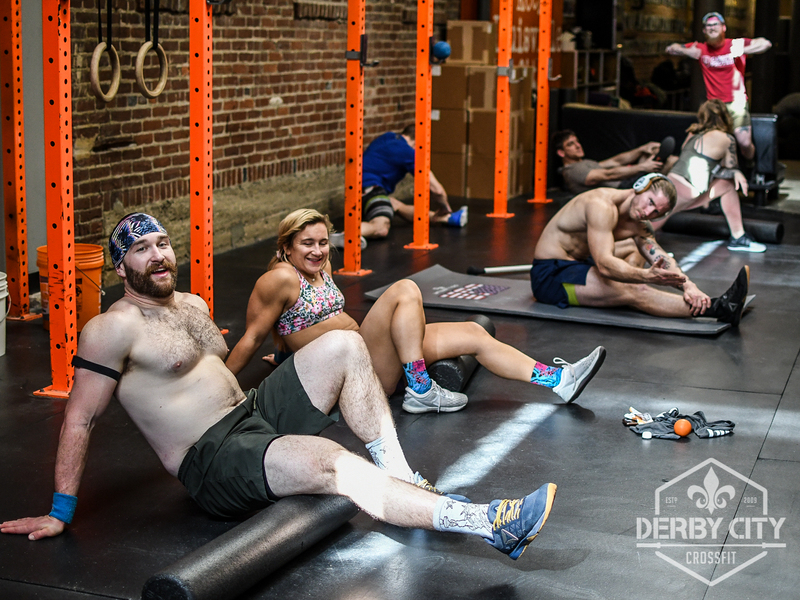 Grab a Coach in the middle of the WOD to get some help with your HSPU-timing, tripod-position, foot-position, etc… And at the same time, we’ll get in some good bodybuilding work to help those tanktop & swimwear muscles. Last week’s Spring Break kept many out of the gym. It happens every year. And we know that people have a hard time coming back to the gym after that week off… maybe their break turns into a couple weeks, or a month. Or maybe they’ve already been on a break before Spring Break even started! Coming back to the gym becomes harder the more time you allow to pass. Waiting leads to weeks of contemplating coming to the gym, and before you know it, half the year has flown by. Remember when you first started at Derby City and how sore you’d be after workouts? You were sore for days on end, but you came back a second day, didn’t you? And coming back from a break can bring back those memories of being super-sore. No one dreams of feeling like that again, so why would you want to do it a second time? Starting over again doesn’t have to be difficult. Here are some things you can do to get back from a slump, start over fresh, and fall in love with training all over again. 1. Get Cleared by a Doctor / Physical Therapist — If you’re recovering from an injury/post surgery, you must ensure that you have been cleared by a licensed professional that has been overseeing your condition. The worst thing you can do is come back to training and re-injure yourself because your body just wasn’t ready. If your Doctor clears you with limitations, then we’d recommend contacting Daryl Williams at ProRehab Louisville so he can further help you understand the “why” behind your injury, give you modifications, and then he can communicate with our Coaches about how to keep you safe in your return. 2. Give Yourself a Break — Don’t compare yourself NOW to who you were THEN. If it’s your first day back after being out for months, you shouldn’t expect to be putting up the same numbers you had before. Allow yourself a few weeks to get familiar with working out all over again. Scale down movements and reps. Focus on moving correctly with great form. Your strength will return with time and skills that you have developed will never go away. Your endurance will take time to get back to where it used to be but it’s ok. Enjoy the process. 3. Make Working Out a Priority — Showing up for your workout should be just as important as showing up on time for your job. Adjust your daily schedule to allow for training and get it done. Fitnessing is great for your health and shouldn’t be something you “maybe” do. 4. Have Someone Hold You Accountable — If it’s hard for you to self-motivate, ask a classmate to help you stay on track. Ask them to text you about coming to the same class time and get back into group training. Laying on the ground, gasping for air, is better when you’re doing it alongside others. Or, tell Coach Lexi to hound you about coming to the gym. She checks in with people who haven’t checked-in for awhile. She can be your accountabilibuddy until you get back on track. 5. Know It Will Be Hard — Yes, you will be sore. Yes, your lungs will be on fire. It gets better. You owe it to yourself to feel great and give your body what it needs. With proper scaling as the weeks roll by, you’ll start to get your groove back. 6. Rest/Recover — Be sure to stay hydrated and nourish yourself properly. Processed foods and junk foods can make you feel terrible, while decreasing your energy levels, which affects what you do in the gym. Your body craves healthy foods and it runs better when you give it clean fuel. Give it what it needs and you’ll not only make thru your workouts easier, but you’ll actually be in better spirits, too. Don’t wait too long to find time for yourself again. Even if thirty minutes is all you have, and only have time for the WOD, make the most of it and work hard. You owe it to yourself to feel good, look good, and be healthy. Derby City misses you. There’s nothing better than a place or person that pushes you on a daily basis. 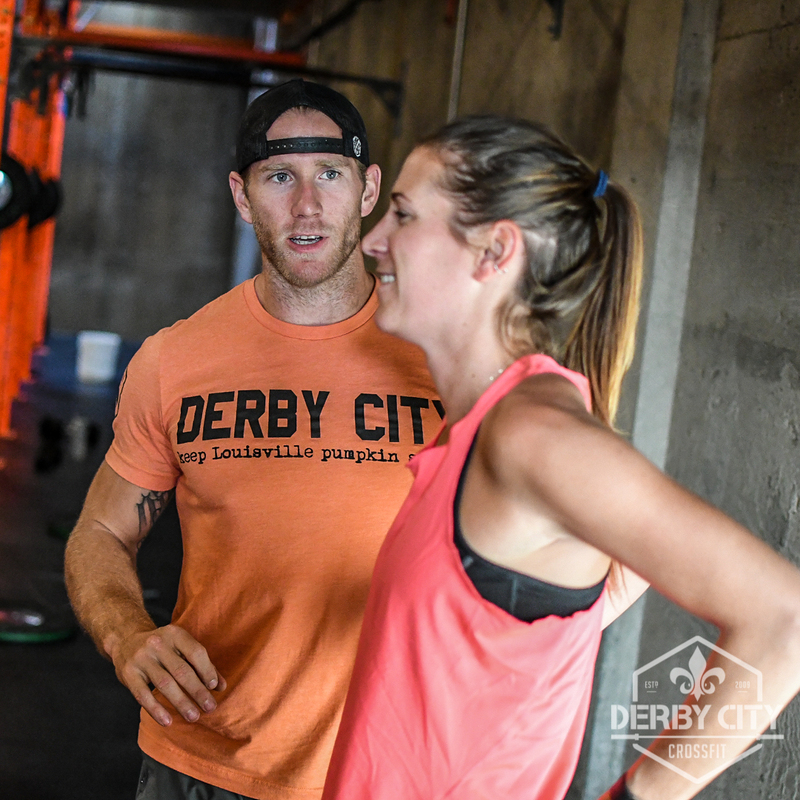 Is Derby City that place for you? We hope so. It’s our goal to be that for you. Got a friend interested in starting at Derby City? The wait list for our beginner sessions (“Elements”) is always about a month long, so have them email us at [email protected] to reserve a spot. Or, tell us about them on our Refer a Friend page! Never shy away from getting stronger. It’s the most important physical trait for optimizing your physical performance, body composition, and preventing injuries. You know some of these, but maybe we all need a reminder. Strength is empowering in training and life. Congrats to all of our Derby City athletes who checked into 20+ classes during March. That’s an average of 5 classes/week! We also had 137 people who checked into 12 or more classes, for an average of 3 classes/week. Spring is around the corner, which means warmer weather and plenty of outdoor distractions. It’ll be harder to make the gym a non-negotiable part of your day, so stay focused! If you’re not here getting fitter, then get outside and bike a trail or run some hills. Keep building consistency into your schedule, both with your workouts and your nutrition. Mechanics and consistency are first, but intensity must follow. But, intensity is personal to you… meaning, what’s intense for one person might be not intense for you, or it might be too intense for you. Furthermore, your level of intensity might change day-to-day; but, the only way to know intensity is to experience it. That discomfort — doing 5 more reps when all you want to do is stop — is how you become fitter. Knowing that discomfort leads to vulnerability, which matters because only when someone is vulnerable do they open themselves to the possibility of change. Change is another word for growth, which is another word for progress, which is another word for evolution.